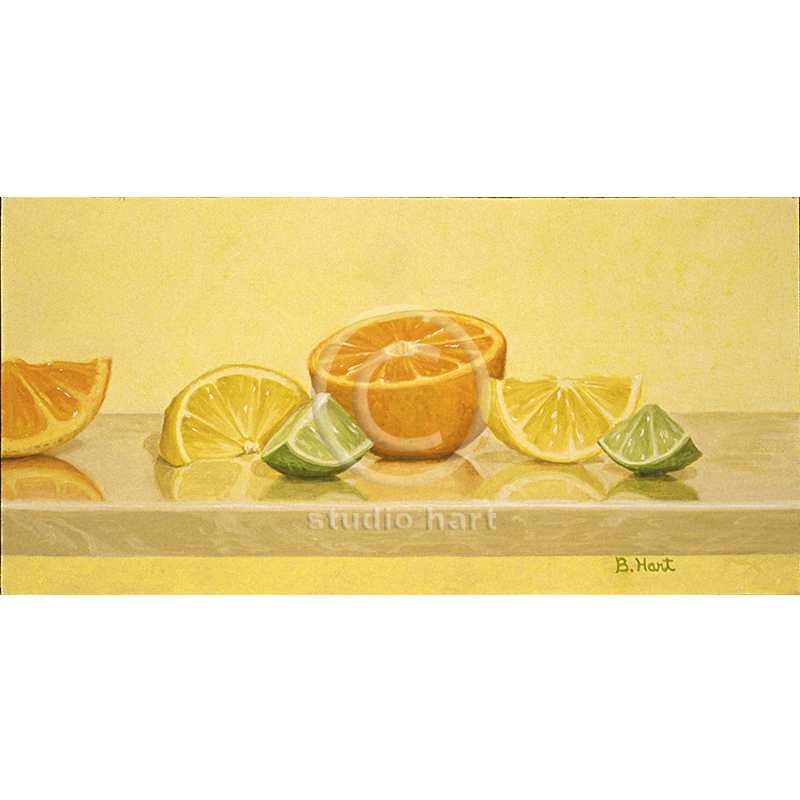 Once again, I am drawn to the idea of capturing the essence of citrus. I loved painting the reflections in the marble slab. Challenging, but fun! Materials: Original oil on linen. Gold ornate wooden frame.